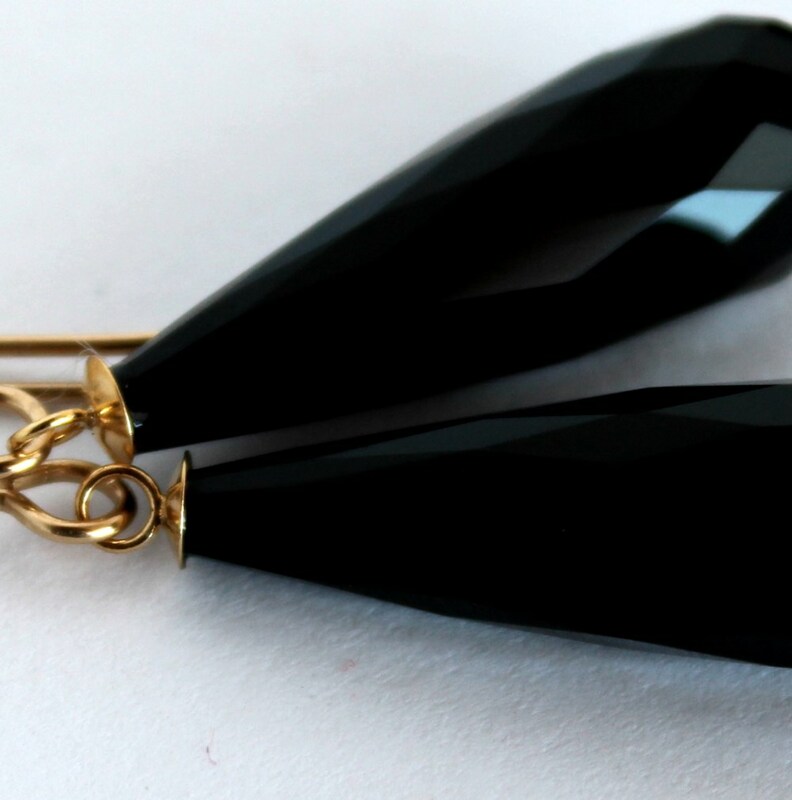 A classically beautiful pair of earrings in a timeless style, these black faceted agate, 36.05carats, will go with everything! They will look particularly beautiful at night where the light can shine off the facets, however they will still look amazing during the day when the sunlight can glint off the surfaces. 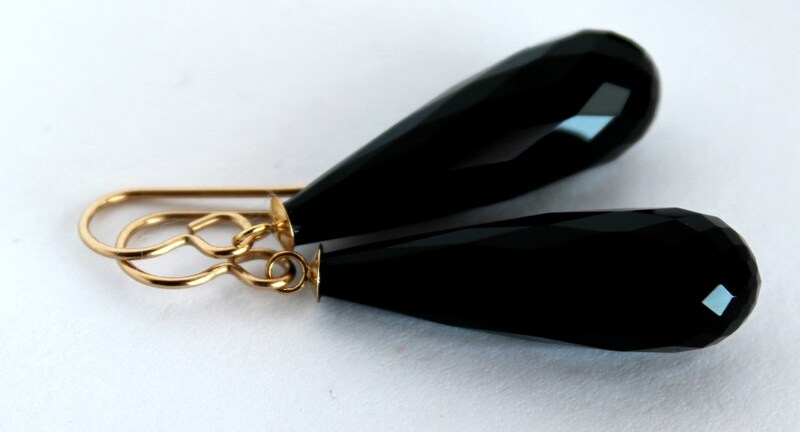 On 14ct gold fill hooks, these earrings are 4.6cm long.